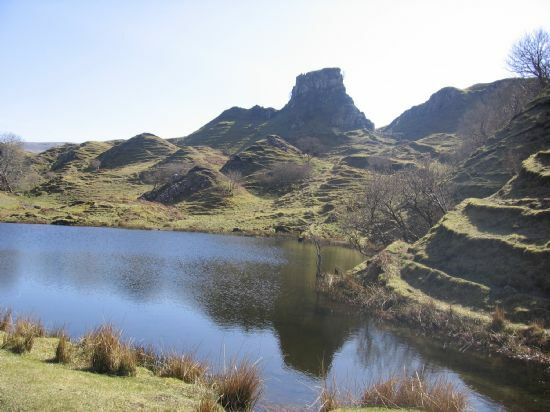 Small loch at Fairy Glen with Castle Ewen in the background. 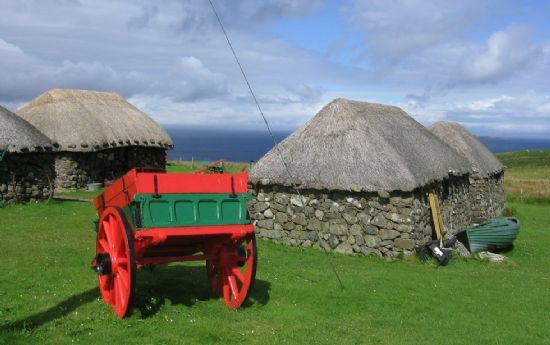 Interesting local museum near the Kilmuir Cemetery just a short walk from the house. 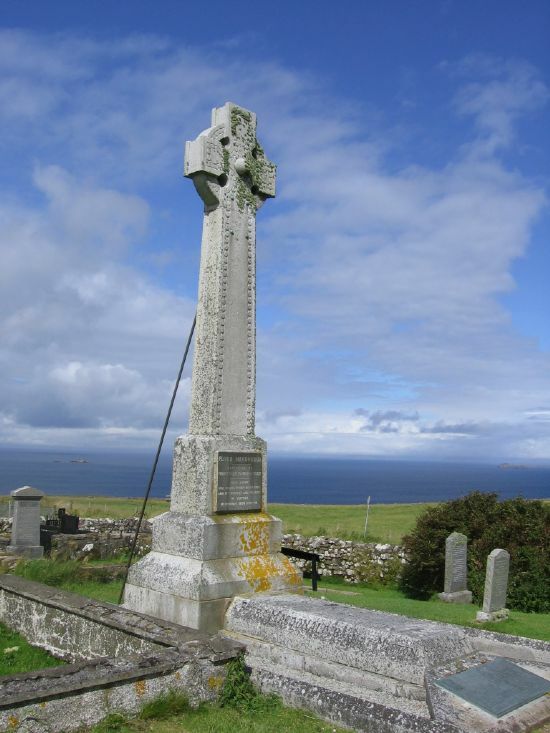 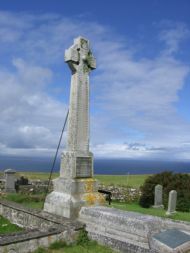 Flora MacDonald memorial at Kilmuir Graveyard. Corrie loch on the walk behind the house. Mealt waterfall from the Kilt Rock viewpoint. 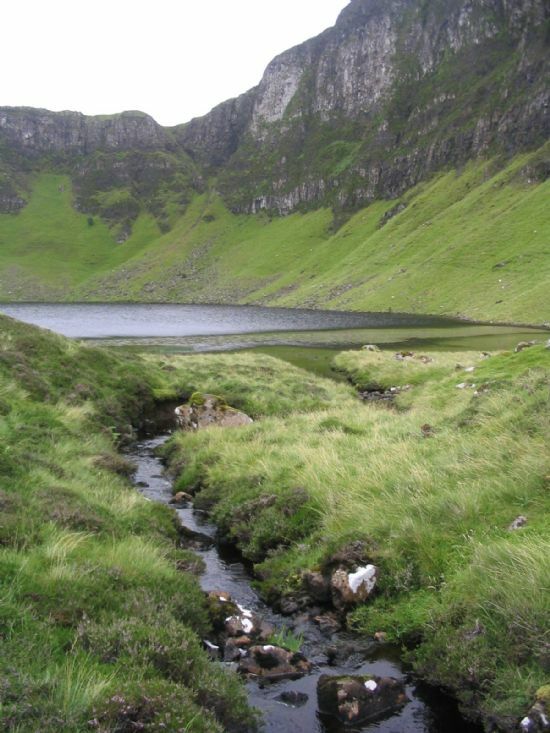 A corrie loch sits below the cliff face. 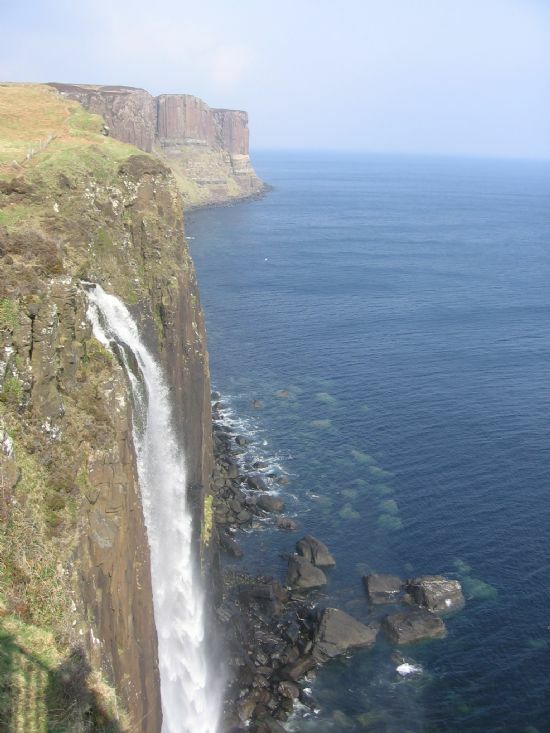 This is the walk from the cottage over the hills behind the house. 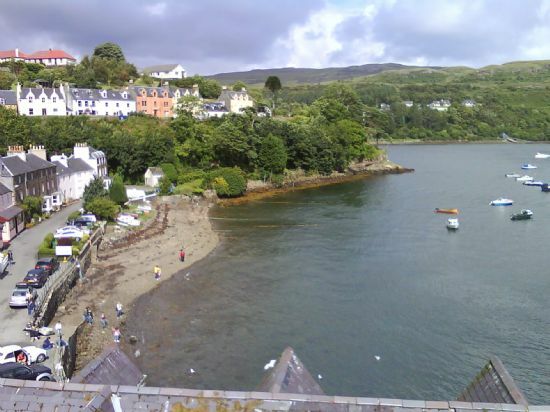 View of Portree bay and harbour. 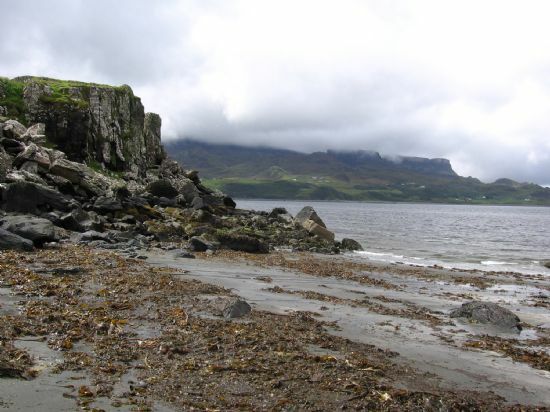 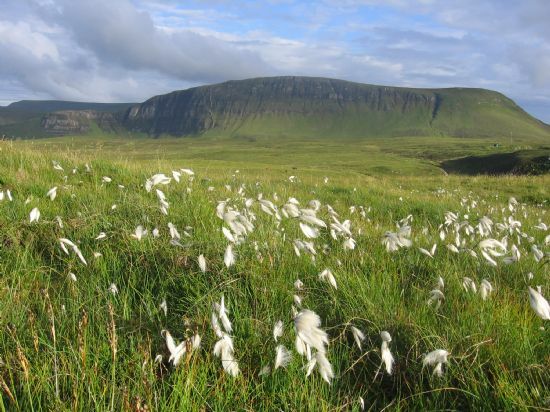 Staffin bay and beach. 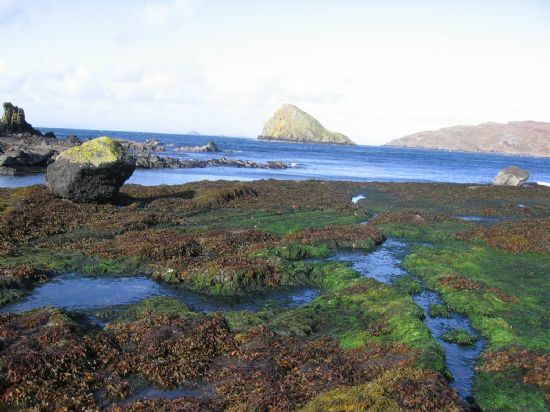 This is the beach with dinosaur footprints.